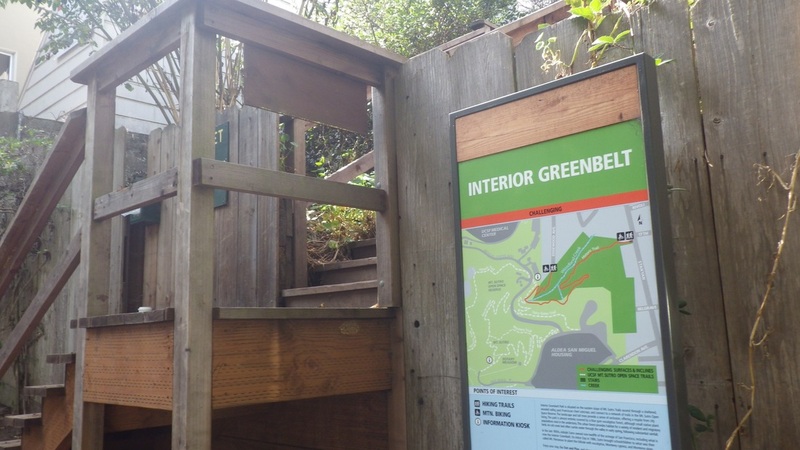 Entrance to the “lower Historic Trail,” which starts in the Interior Green Belt – city-owned property that comes under the Natural Areas Program of SF Rec & Parks. 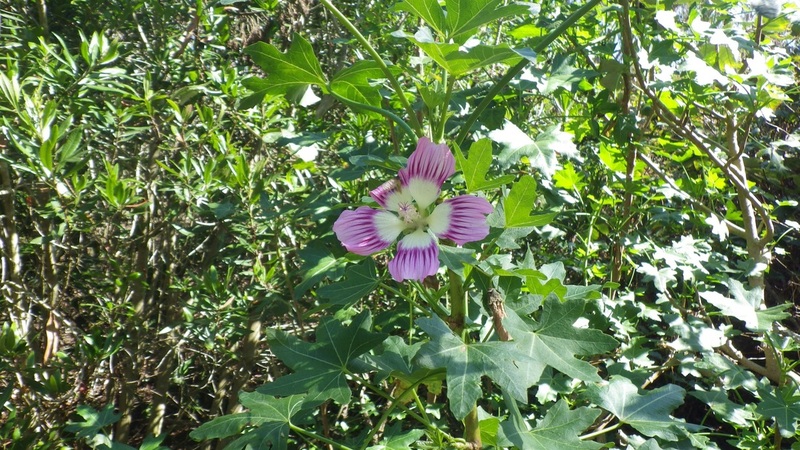 … and up to the summit (where I saw this flower). Going down from the summit I went down the North Ridge Trail. There are around 136 steps from the parking lot down to Medical Center Way behind the hospital buildings. 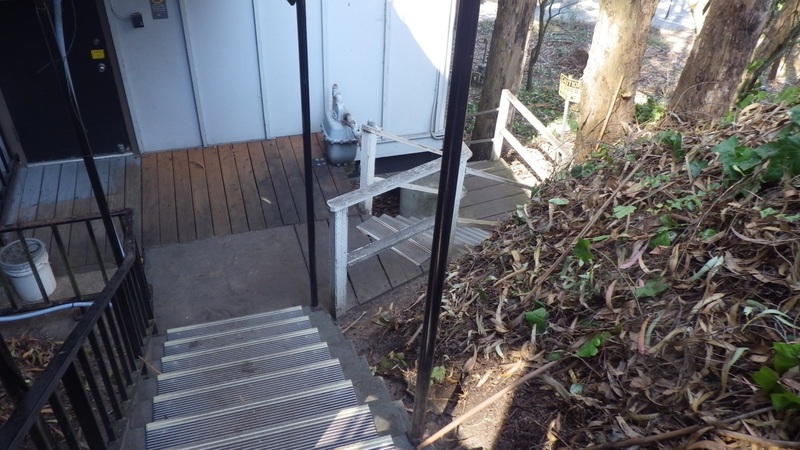 You’ll probably see medical personnel ascending and descending this stairway, but it’s okay for hikers to use also. I’ve been doing so for years. 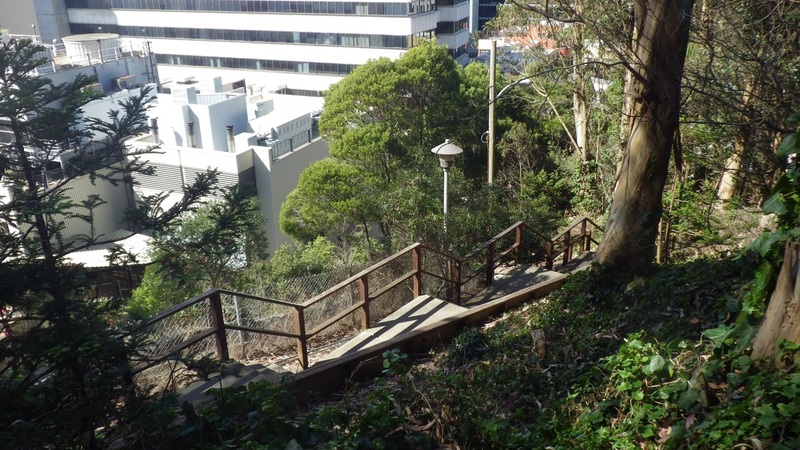 Tony Holiday likes meandering around on San Francisco’s park trails and public stairways, sometimes taking photos, and enjoying nature and the outdoors. 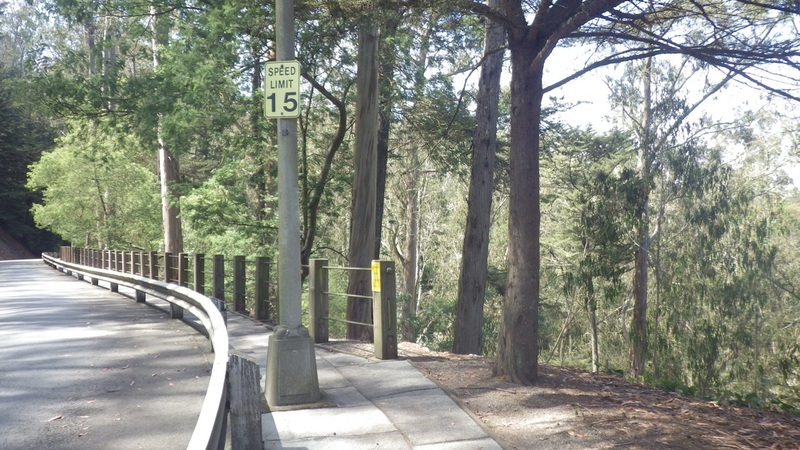 UCSF’s “Urgent Fire Safety” on Mt Sutro – How True? 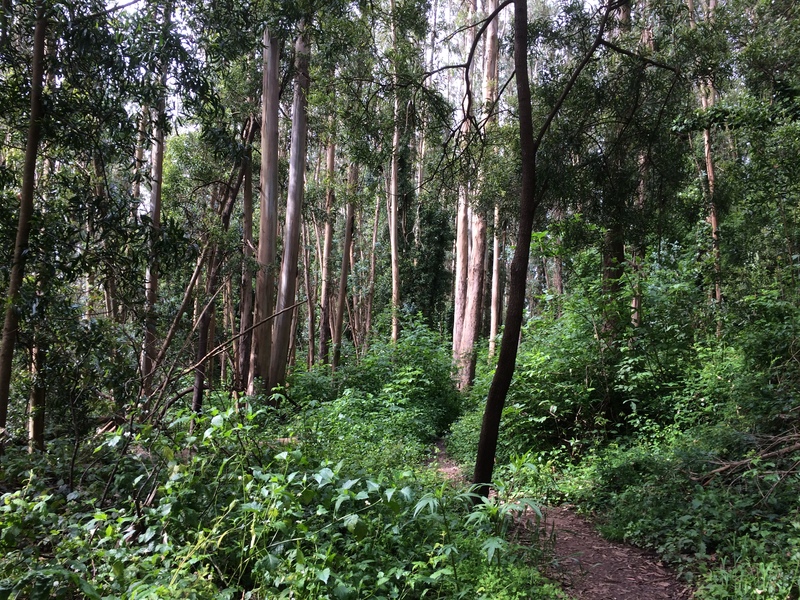 Our readers have been following the story of Sutro Forest, the beautiful Cloud Forest that lies in San Francisco’s fog belt. 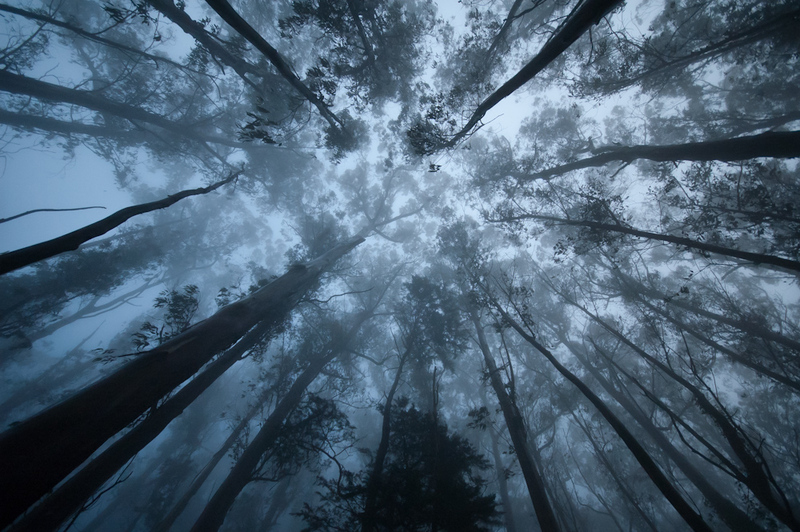 It captures moisture from the marine layer fog, and is thus wet all through the summer and into the Fall, which protects it from fire-hazard. 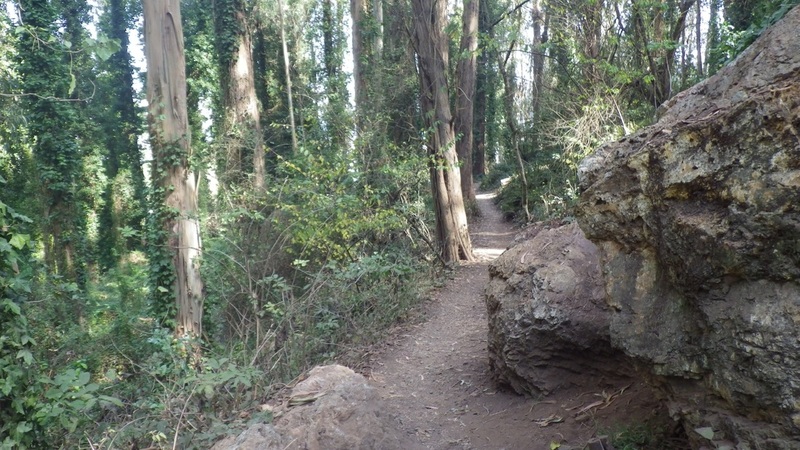 In January 2013, UCSF issued a Draft Environmental Impact Report (DEIR) on a Plan threatening to cut down 90% of the trees on 3/4 of the Mt Sutro Open Space Reserve. 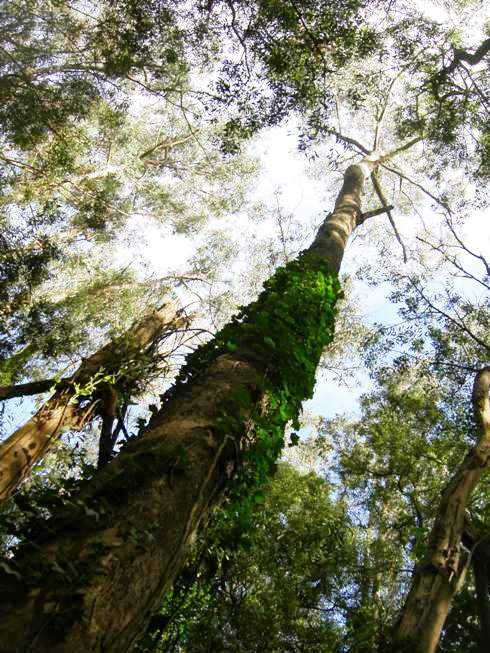 Until recently, we understood that the tree-felling had been postponed to 2014, as UCSF needed more time to respond to the detailed and voluminous public comments on the DEIR. 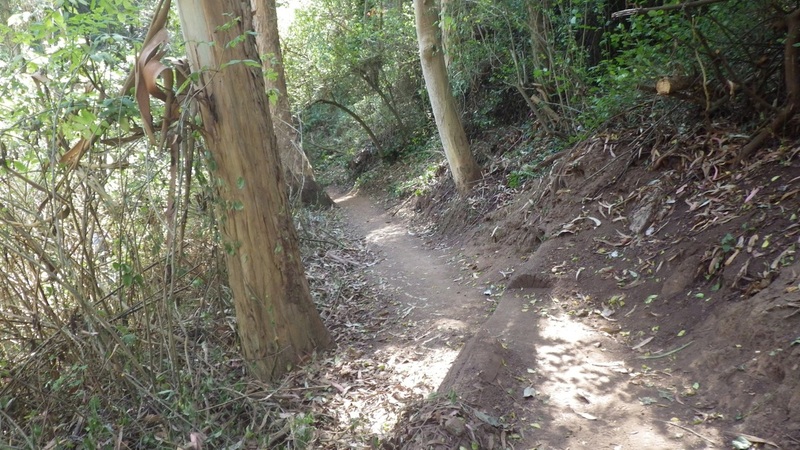 All of this creates the impression that SFFD came in, took a close look at the forest, and found “extra hazardous conditions” – and that UCSF’s actions were in response. But is that what really happened? The determination that fire conditions are “extra-hazardous” is important. If they’re just the normal fire-risk, then the required clearance to structures is 30 feet. If it’s “extra-hazardous” then it’s 100 feet. 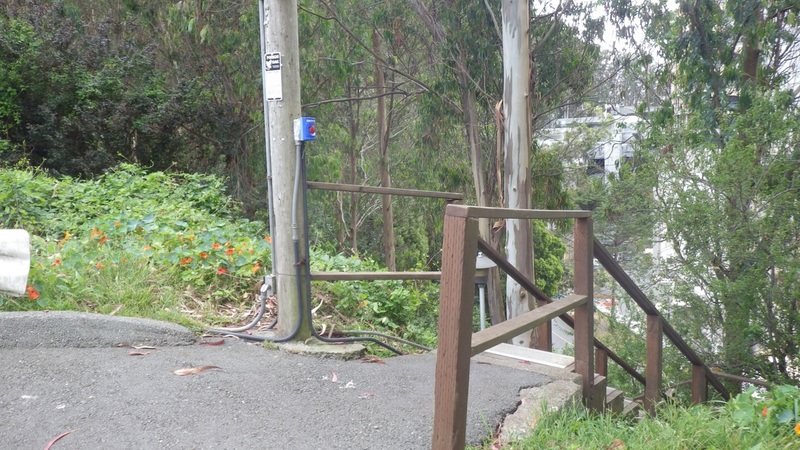 At 30 feet of clearance, UCSF would need to do very little: This amount of clearance already existed in most places. 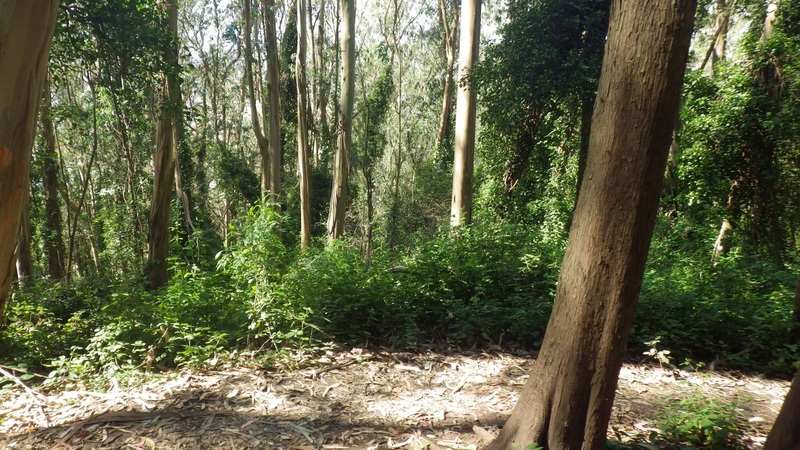 But by declaring it “extra-hazardous” UCSF decided to clear understory and slender trees on around 20-25% of the Mt Sutro Open Space Reserve. So of course we were very interested in just how the extra hazard – and emergency – had suddenly been decided. 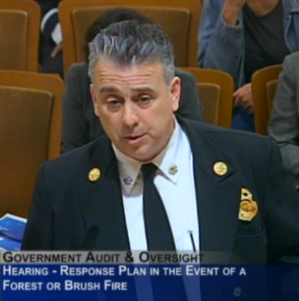 UCSF claimed an “independent assessment” by the SF Fire Department (SFFD). But was it? Under the Sunshine Act, we obtained documents from SFFD, covering the correspondence between UCSF and the San Francisco Fire Department. It demonstrates no independent assessment nor any evidence of “extra-hazardous” fire conditions at that time. 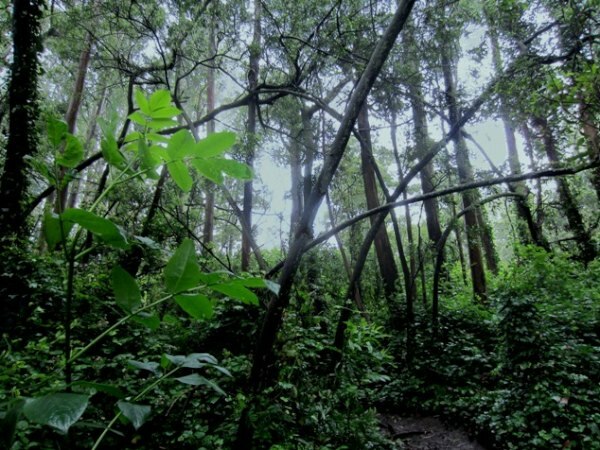 It appears that UCSF, finding its efforts to start gutting the forest this year had been stymied by the overwhelming public opposition to its Draft EIR, decided to do an end run around CEQA. 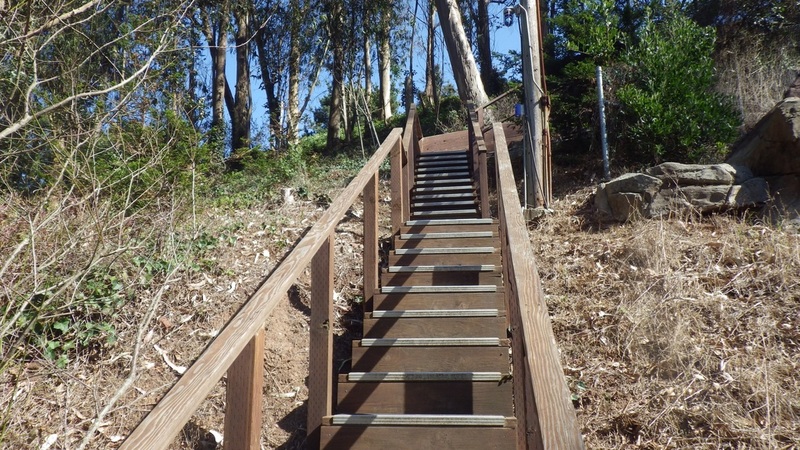 SFFD had not independently expressed any concerns about fire hazards on Mount Sutro. UCSF tried to get them to come to Mt. 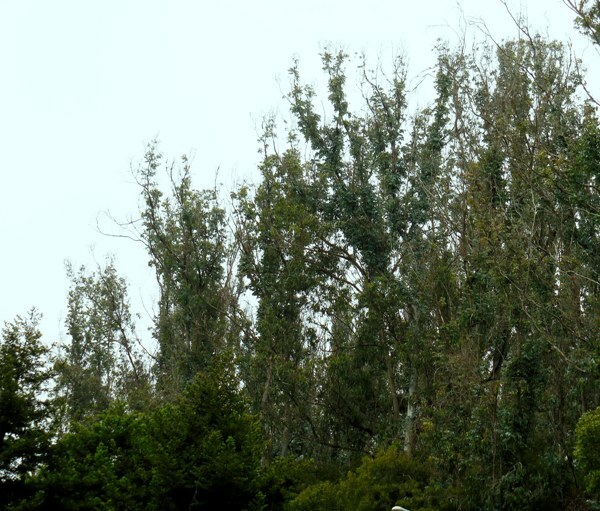 Sutro and tell UCSF to cut down trees. That apparently didn’t happen. 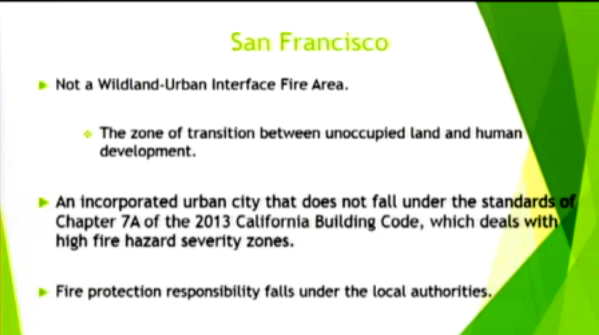 Then UCSF drafted a letter for SFFD saying there were extra-hazardous conditions requiring the 100-foot clearance. 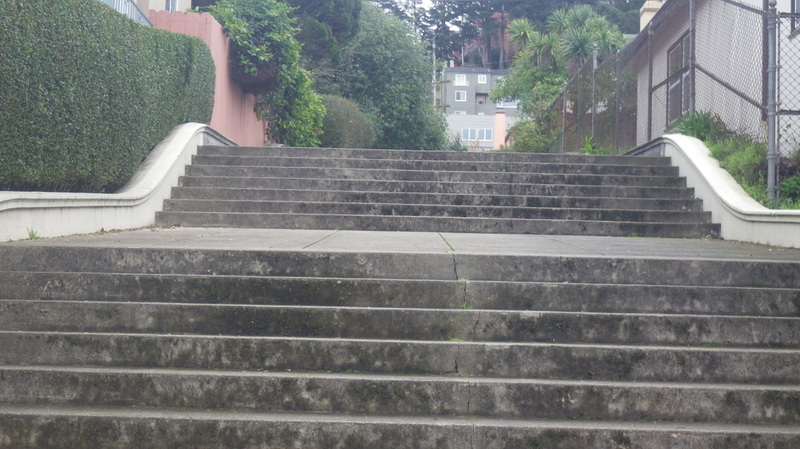 Only after our Public Records Act request revealed that SFFD had been used to get around CEQA, after the public had been told that SFFD had made an independent assessment, on the very day that cutting started, did SFFD perform an after-the-fact walk-through of Mount Sutro to justify what was being done. 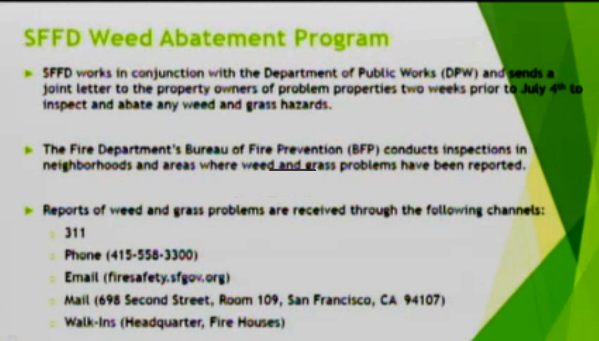 13 June – 10 July 2013: UCSF tried to get the San Francisco Fire Department (“SFFD”) to come to UCSF to do a fire hazard inspection on July 11th. There’s no record that the meeting ever happened. 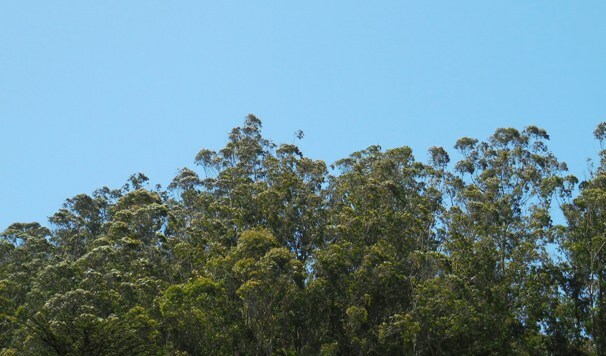 27 July 2013: Due to overwhelming number of comments on the Draft Environmental Impact Report opposing felling trees on Mount Sutro, UCSF announced that it would not be able to complete responses and hold the hearing approving the EIR in time for work to begin in 2013, and this would be postponed to 2014 after the bird-nesting season (around mid-August). 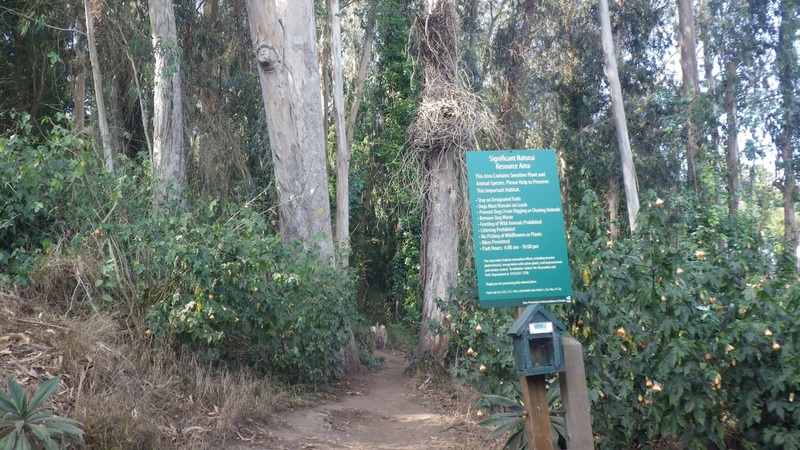 14 August 2013: UCSF sent out a public notice that it would begin tree removals on August 26, and attached the SFFD letter (which had been drafted by UCSF) as justification. 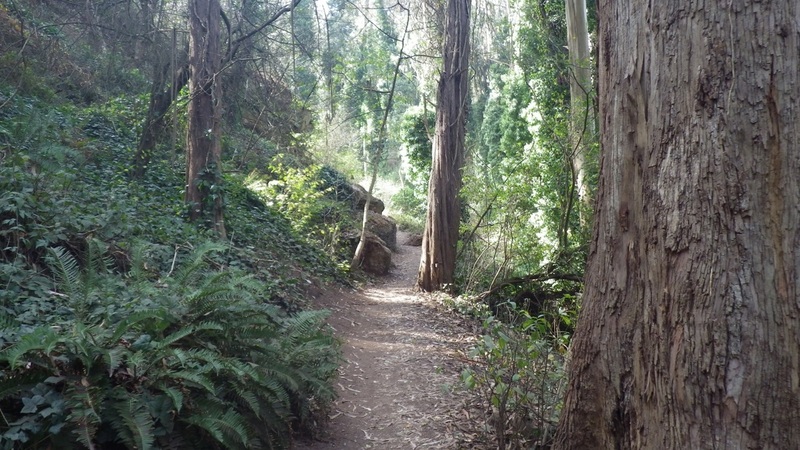 20 August 2013: San Francisco Forest Alliance sent SFFD a letter demanding immediate disclosure of all records pertaining to fire hazards or assessments of fire hazards on Mt. 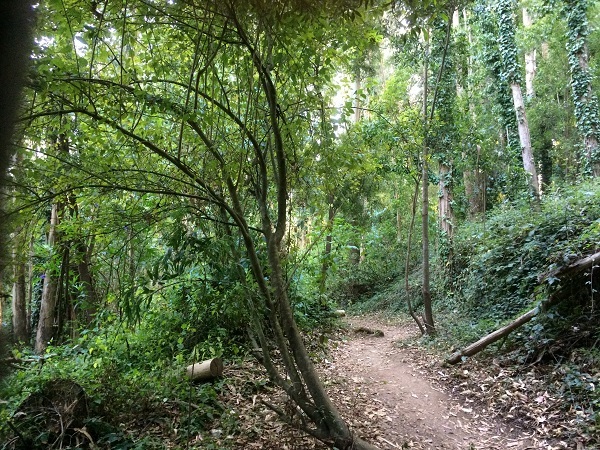 Sutro. 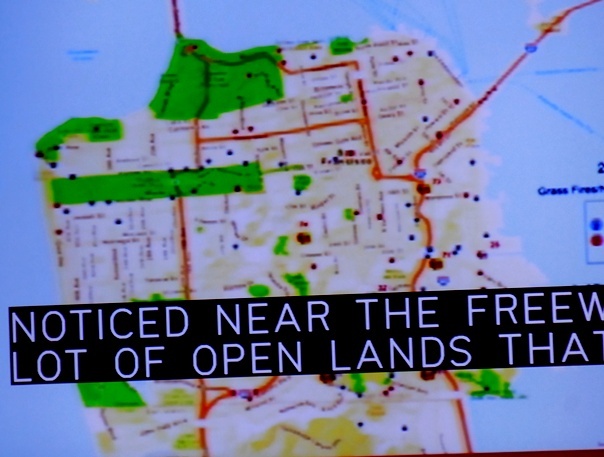 23 August 2013: SFFD provided no records of any fire assessment on Mt. 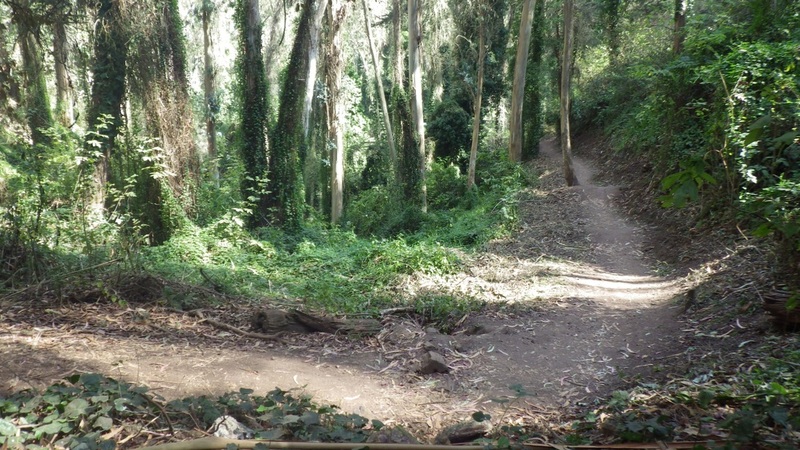 Sutro, and only produced one document showing that UCSF had scheduled a tentative Mt. 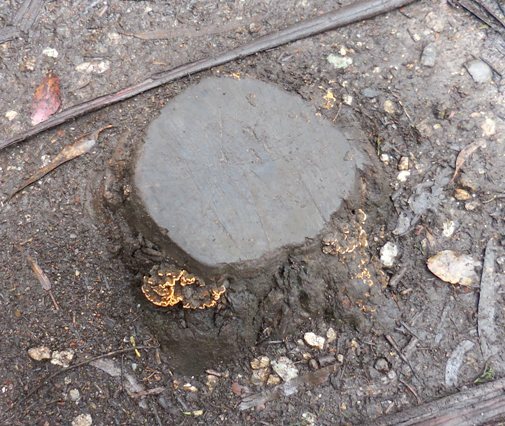 Sutro site visit on July 11th (and no evidence or assurance that this site visit had occurred). Is it possible that this letter, too, was drafted by UCSF? We don’t know. If we find out one way or the other, we’ll publish it here. In any case, SFFD has clearly provided this support as a courtesy to UCSF, and there has still been no independent substantiation of the ‘extra-hazardous’ conditions throughout the areas where the “work” was performed. Or of any emergency.